The Markem Imaje Lightjet Vector high power CO2 laser has been designed for the most demanding production environments, delivering permanent, consistent, high-quality coding on some of the most challenging substrates such as PE, PP plastics, glass and rubber. This 120 Watts version is the ideal solution for complex messages up to 5-line applications at high production speeds. 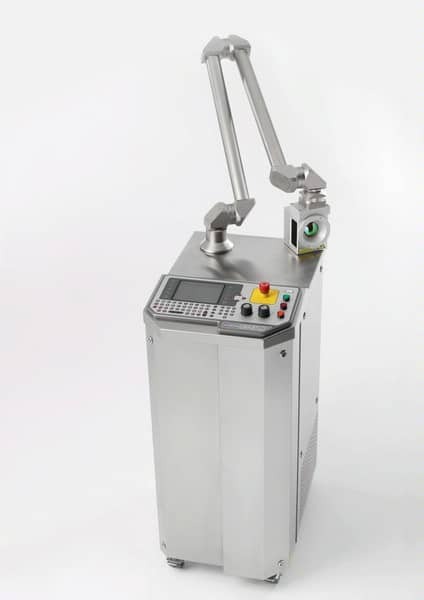 This vector technology equipped with its articulating arm and compact scanning printhead is well suited for applications in the beverage, pharmaceutical, cosmetic and personal care industries.